Long-term regular use of ketamine has been reported to be associated with severe symptomatic urinary tract problems. Methoxetamine, an arylcyclohexylamine derivative of ketamine, is marketed as a “bladder safe” derivative of ketamine, and no cases of acute toxicity following analytically confirmed methoxetamine use have been reported to date. We report here a case series of three individuals with acute toxicity related to the analytically confirmed use of methoxetamine. Three patients aged between 28 and 42 years presented to the Emergency Department (ED) on unrelated occasions having used methoxetamine. Clinical features were suggestive of a “dissociative/catatonic” state similar to that seen with ketamine; in addition, they had clinical features of acute sympathomimetic toxicity with significant tachycardia and hypertension. All were managed with low-dose benzodiazepines and discharged home once their symptoms/signs had settled. Serum collected at the time of presentation to the ED was analysed qualitatively and quantitatively by gas chromatography–mass spectrometry. Serum concentrations ranged from 0.09 to 0.2 mg/L; in addition, detectable levels of 6-APB/5-APB were found in one of the patients. These three analytically confirmed cases demonstrate that acute methoxetamine-related toxicity is associated with both “dissociative” and “sympathomimetic” clinical features. 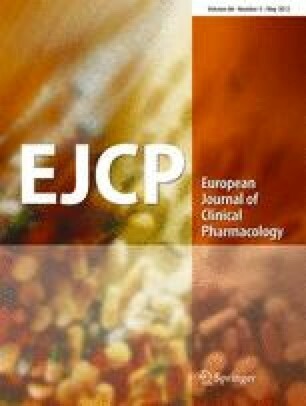 The information from these three cases is useful to clinical pharmacologists, not only in managing individuals with acute methoxetamine toxicity but also in advising the appropriate legislative authorities on the risk of acute harm related to methoxetamine use. Further work is needed to determine whether methoxetamine is more “bladder friendly” than ketamine, as has been suggested by those marketing methoxetamine. DW and PD have acted as scientific advisors to the UK Advisory Council on the Misuse of Drugs (ACMD) and the European Monitoring Centre for Drugs and Drug Addiction (EMCDDA).